We wondered if the rally would be a new up-move OR just an x-wave. To decide on this, we considered 61.8% levels as crucial. We also wondered if it could be crossed before Budget. Last week’s rally has taken out the 61.8% level, just ahead of the Budget coming out 1st Feb, i.e. on Wednesday of the fresh week. It, thus, also crossed the “Neckline”, achieved “Double Bottom” projection and gone above the “Turbulence” area of 9-11th Nov’16. It, therefore, appears the rally from Dec’16 is indeed a new up-move and not an x-wave. The “x?” label is, accordingly, removed. If 21-month Neutral Triangle is over, then its last leg, i.e. “E” leg from Sep’16 to Dec’16, should be fully retraced in faster time. Thus, the final confirmation of a new up-move would require move above Sep’16 high, and that too, by Mar’17. A move out of a Neutral Triangle (NT) can achieve 75% ratio to the largest leg of the NT. The largest leg was “D” leg from Mar’16 to Sep’16. 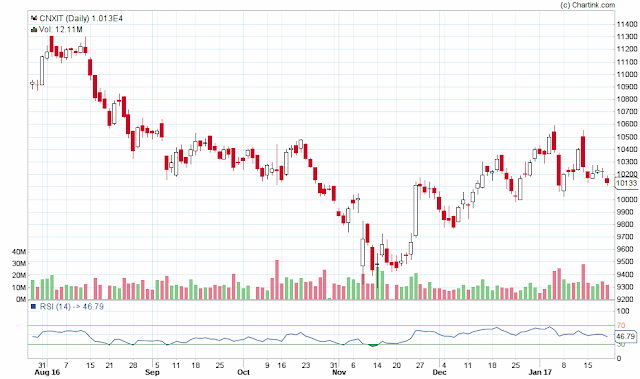 A 75% ratio to “D” would project about 30500 (Nifty 9500), a new high as we have been arguing. This Elliott Wave analysis report of Nifty is specially prepared covering wave counts on all time frames with medium/long term outlook of Nifty and some important points useful for Elliott Wave Theory learners. Elliott Wave Theory is a never ending wave’s cycle starts from the birth/beginning of any financial script. Nifty born in 1995 and we need to see chart covering move from 1995 for Elliott Wave theory analysis and move after 1995 can be seen only on monthly chart. So, let’s start from the beginning. 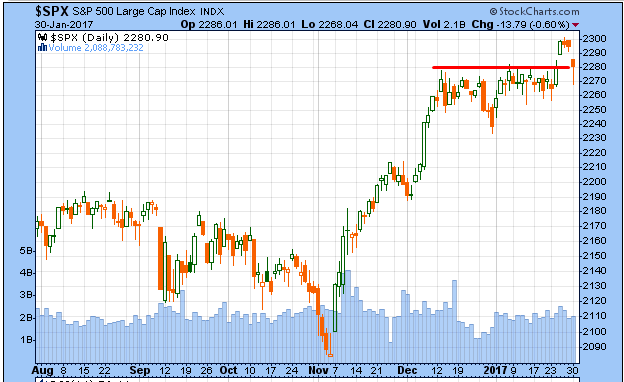 Possible if we have a gap down opening AND the gap does not filled this week. While there are still those - pretty much anyone who still cares about fundamentals - who are scratching their heads at Dow20K, according to Barrons "the Dow hitting 20,000 was no fluke. Today’s stock prices are well supported by solid prospects for corporate earnings and economic growth." 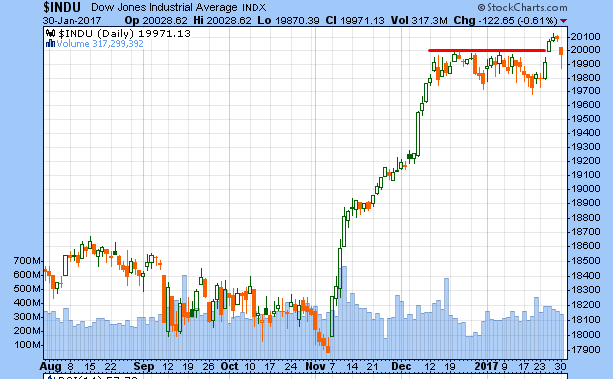 In fact, Dow 30,000 is just around the corner... well by 2025. All President Donald Trump has to do, according to Barron's, is "avoid stumbling into a trade war—or a real war." Some of the profound insight behind this forecast so reminiscent of the infamous "Dow 36,000" prediction which hit just around the time of the last market bubble. Clearly, part of the propulsion behind stocks has been the Trump administration and its flurry of business-friendly edicts. If Trump can succeed in reducing regulation and lowering corporate taxes, stocks should surge further this year. An additional 5% or even 10% gain in 2017 wouldn’t be surprising. Our projection of 30,000 by 2025 is based on our analysis of historical data provided by Jeremy Schwartz, director of research at WisdomTree. This data, which looks at stock market returns for rolling five-year periods dating back to 1871, suggest stock market gains will fall below the market’s typical annual gain of 6% after inflation in the next five years before accelerating above the average in the years after that. In reality, markets blasted 10% up from the moment it was clear . The box shows the election results date. A similar event happened when Brexit happened... the panic the event caused was an excellent 'buy on dips' event for smart money. There is nothing wrong with an "expert" being wrong. Everyone is wrong sometime or the other (this includes calling someone an expert). The problem is in following an expert and making the assumption that he/ she knows everything. On a related note, we now have DOW above 20K... an all time first... thanks to Trump? 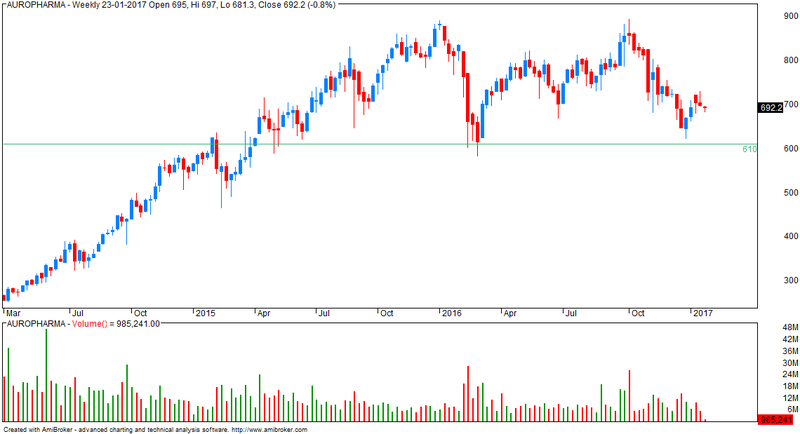 BANK NIFTY to retest all time highs? 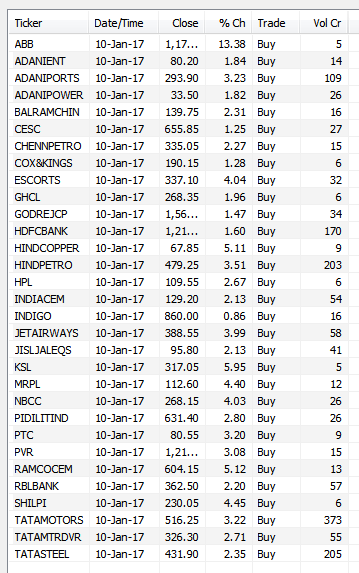 - option writers are bullish with highest OI at 8400 put. By conventional Technical Analysis, however, “Island” area usually proves a significant resistance for the future market action. As we argued last week, “no further upsides can open until the ‘Island’ is taken over”. 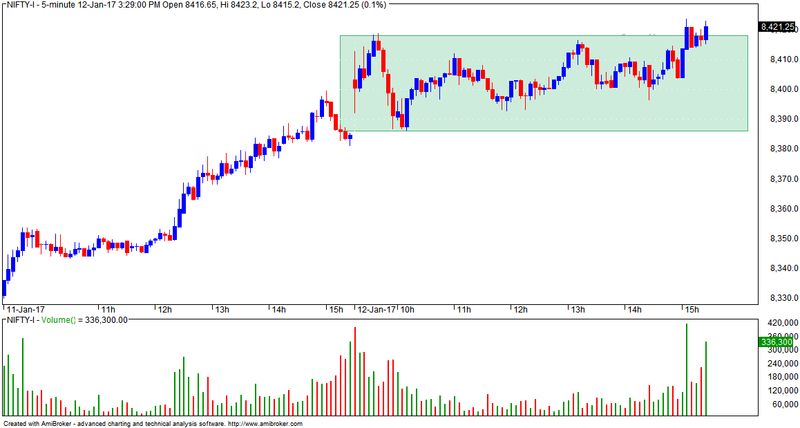 An “Island” gets created when Index jumps with a gap-up and after some time, drops with a gap-down, matching that gap-up area. It is a rare but significant chart development. Index respected the “Island”, and failure to cover it finally resulted in a net loss last week. 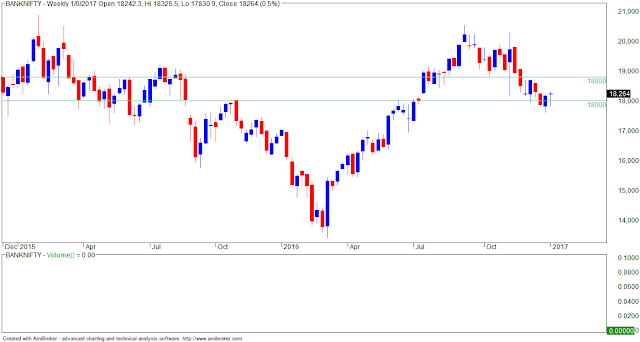 Nifty opened mild gap down at 8404 and bounced to register day’s high 8423 but failed to sustain at higher levels and declined sharply by more than 80 points to register day’s low 8340 before closing 85 points down at 8349. Nifty broke 8344-8461 range after 5 sessions. Friday, 8344 was the point below which we can think of any reversal and 8461-8490 was expected on upper side and trading strategy was to buy on dips using stoploss 8343. 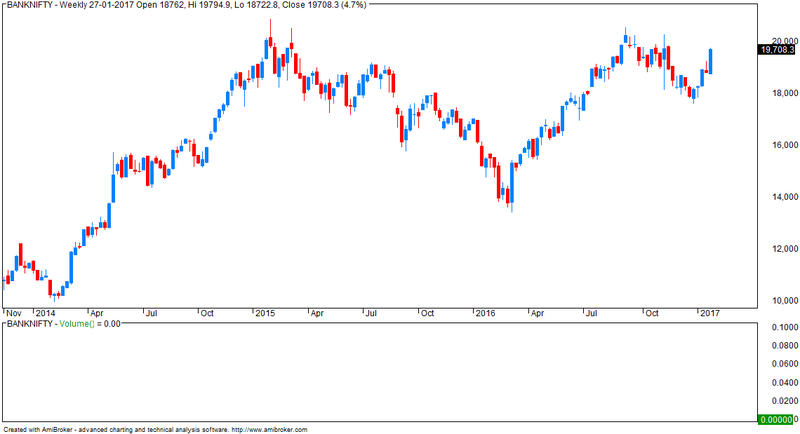 Nifty broke 8343 on Friday after a long consolidation and now we needs to have a fresh look at latest chart as there is abnormality in previous pattern. Today I am covering bounce from 26 Dec 2016 low 7893 and earlier wave counts are explained in my previous analysis report Elliott Wave Outlook of Nifty for 11 Jan 2017 Onward. Options decay and they lose their value over time... this is irrespective of the movement of the underlying. Using option charts for exits provide a faster way to close a trade - this is specially useful when markets are rangebound and you have a position in any OTM option. The heat of demonetisation has been felt heavily by the hawala users and its operators. As per the reports of Central intelligence agencies, the call traffic by hawala agents in India has dropped by 50 per cent. There have been several reports of busted hawala rackets across India. The people who were running these rackets were involved in illegal conversion of old currency notes. Some RBI officials were also held for facilitating them. The demonetisation move has certainly impacted the hawala system. But how long is this impact expected to last? Because of limited record keeping and undecipherable coding of each transaction, it is intricate to intercept the hawala transfers. Therefore, the challenge before the intelligence agencies is to track the trail of money which are transferred through hawala. This is especially an arduous task for agencies involved in counter-terrorism efforts. Intelligence agencies should be provided with sophisticated technologies to help them succeed in this. Although demonetisation has hit hawala operations, there are several reports on their revival too. One should therefore understand that demonetisation is not a checkmate to hawala, rather it is a checkpoint. There are more such measures which are necessary to curb such underground systems and to keep them in check. The current political leadership seems to have understood this. In total, this is a transition from an untraceable to a traceable system of functioning, an investment for a better tomorrow. 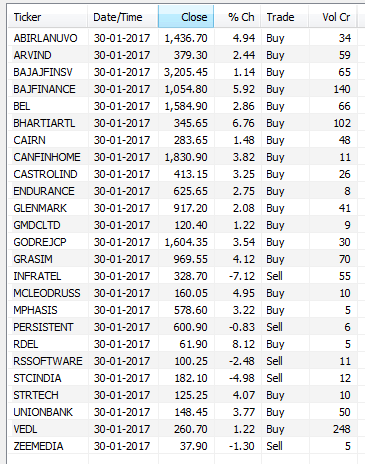 - a cool profit of 300+ points on positional trades. - SL for short trade is 8460 F.
- today, markets closed 1% in negative and below the crucial level of 8380. Nifty opened flat at 8403 and bounced sharply to register day’s high 8460 but failed to sustain at higher levels and declined back by more than 60 points to register day’s low 8397 before closing 19 points up at 8417. 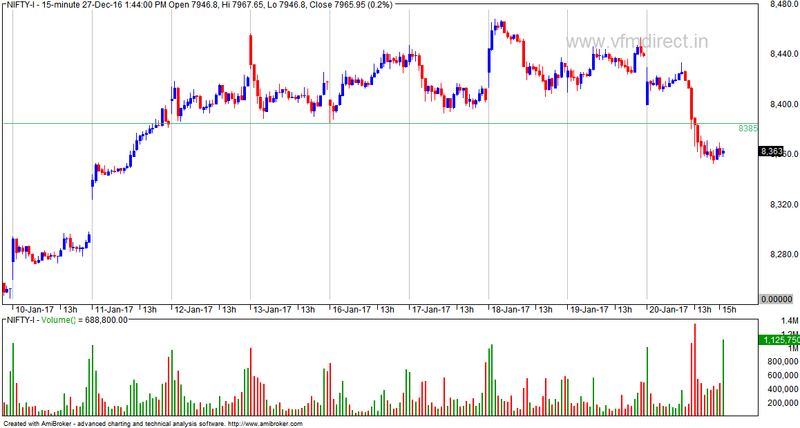 Yesterday, same 8344 was the point below which we can think of any reversal and 8461-8490 was expected on upper side. 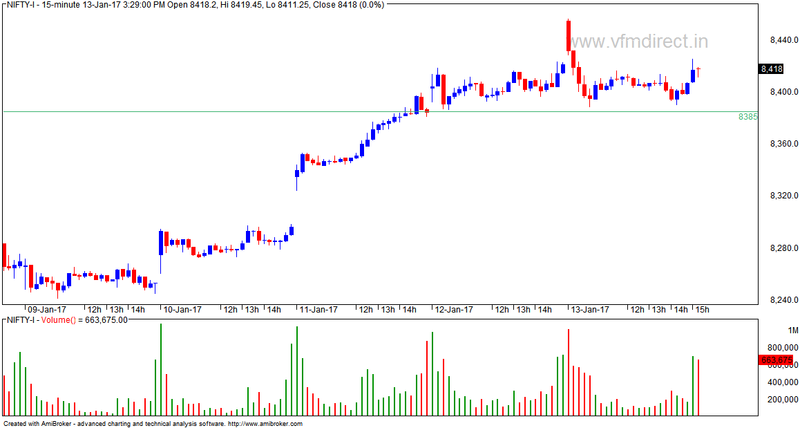 And trading strategy was to buy on dips using stoploss 8344 and minimum targets 8461-8490. 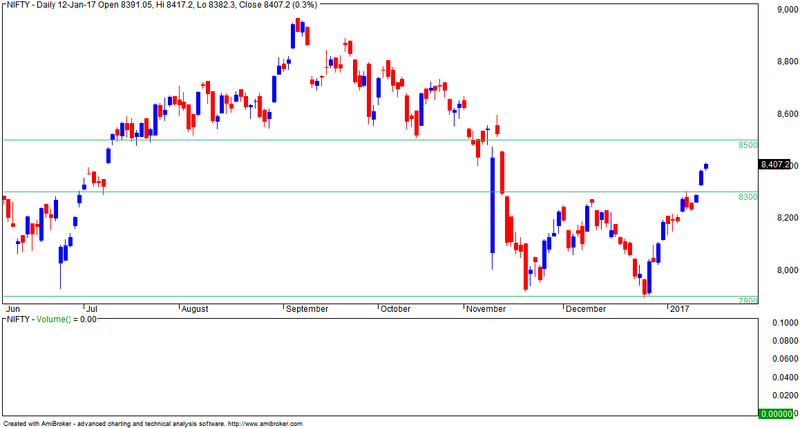 Think of selling only after break below 8344. 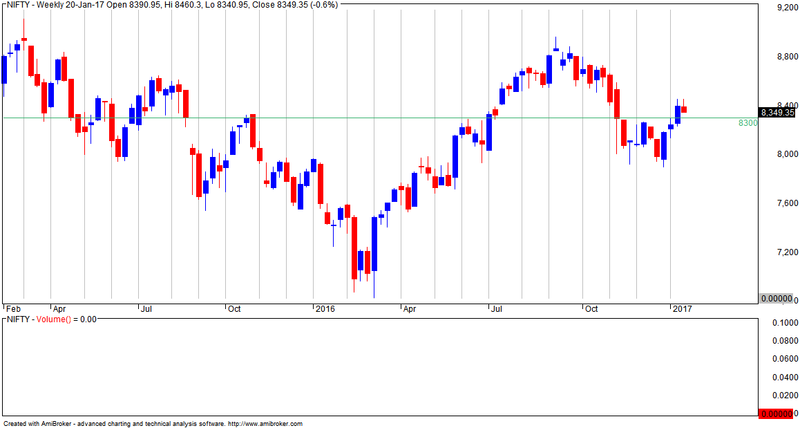 Nifty bounced as per expectation but didn’t break previous high 8461 and declined back. Let’s have a fresh look at latest chart for further scenario. 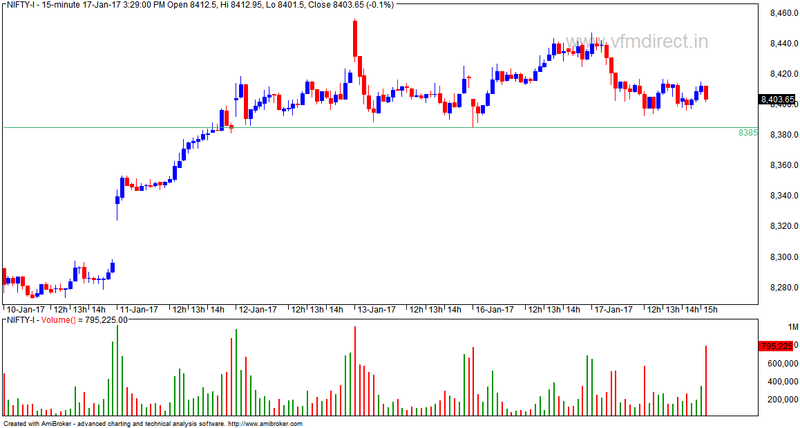 - support formed around 8370. The bottoms made during Nov-Dec’16 were similar, i.e. 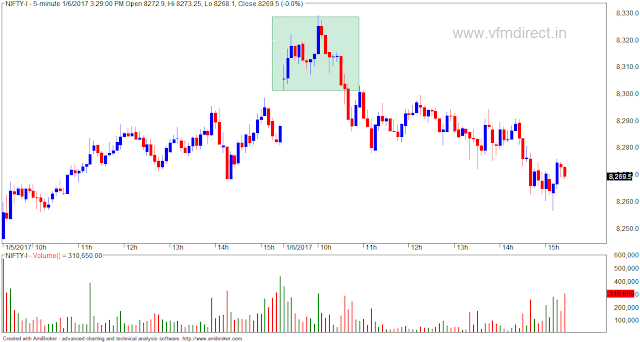 25718 & 25754 (7916 & 7894 on Nifty), and therefore, they looked like a “Double Bottom”, which is a reversal formation as per conventional Technical Analysis. The high between these 2 bottoms, i.e. 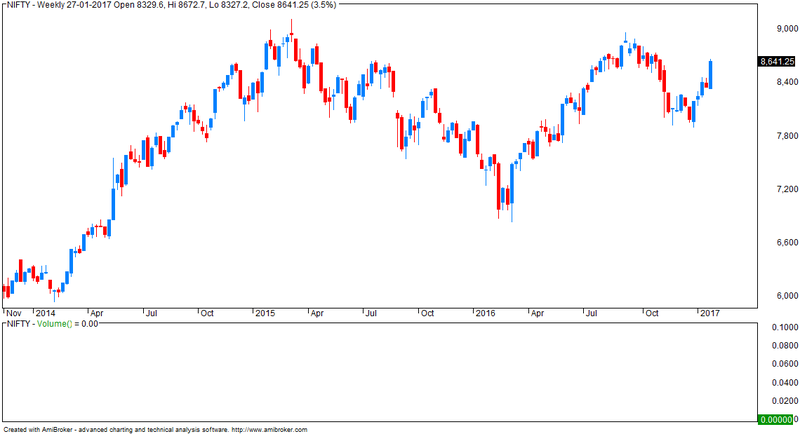 high of 9th Dec at 26804 (Nifty 8275), was crossed in Jan’16, which is a conventional method to confirm a “Double Bottom”. 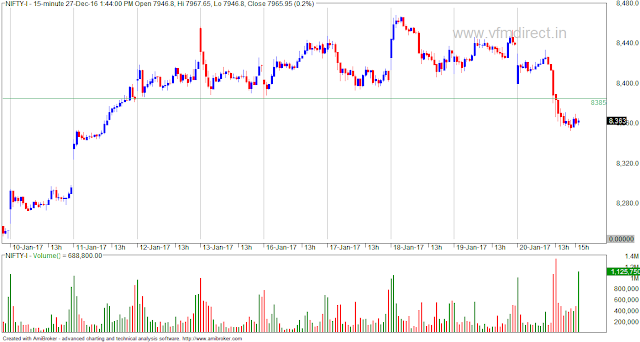 The height of such a Double Bottom can be projected as possible upside, and same would also calculate to levels similar to 27800 (Nifty 8560), close to the 61.8% level marked on the charts. 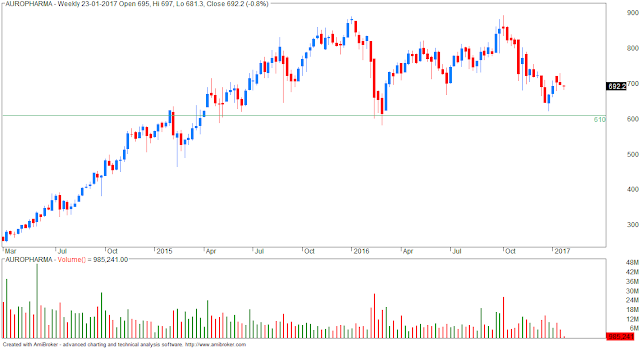 The 61.8% level is also close to Neckline of Head & Shoulder formation we had marked as Sep’16 top reversal formation. Index, remember, broke this Neckline in Nov’16, and achieved downside projected on the basis of height of the H&S formation. The 61.8% level is also close to the high of 10th Nov’16 at 27743 (Nifty 8598), where Index went into a huge “Turmoil” immediately after the Trump Victory and Demonetization. Remember, Index lost 1685 pts overnight on these news flows, recovered 1835 pts by 10th Nov, only to drop to a new low thereafter. 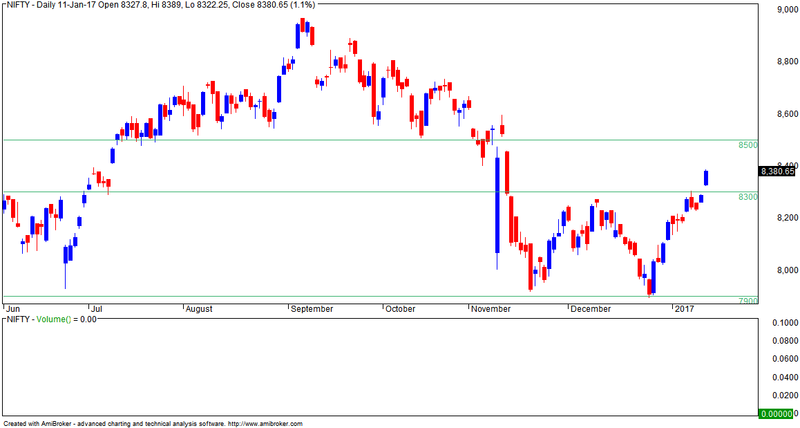 Nifty opened gap up on Friday at 8457 but failed to sustain at higher levels and declined sharply after opening. 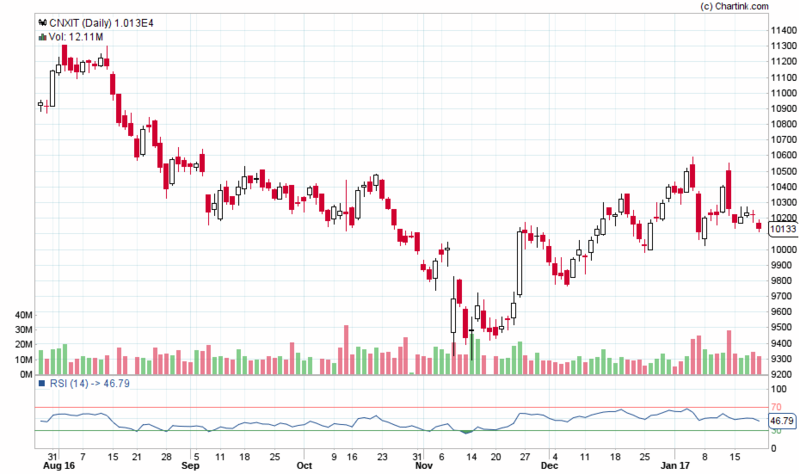 Nifty declined more than 80 points from day’s high 8461 to register day’s low 8373 before closing 6 points down at 8400. 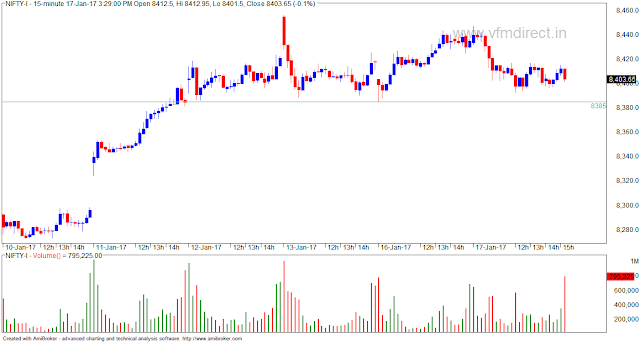 Friday, 8344 was breakeven points and minimum 8454-8499 range was expected on upside. And Intraday shorts were suggested if “Nifty achieves 8454” and “trades below opening price at 9:31 AM” using stoploss day’s high (made till 9:31 AM) expecting minimum downward target 8380-8344 and hold for next day only if Nifty breaks below 8344. Nifty achieved 8454 at opening and was trading below opening price at 9:31 AM and then achieved intraday target 8380, trade closed Intraday because 8344 was not broken. Let’s have a fresh look at latest charts for further scenario. Will The CIA Assassinate Trump? - today, markets were up 1%. Expect half of them to fail (statistically speaking). - today, NF closed in positive. ... all corrective phases in Indian market consumed about 13 or 21 months, both of which are Fibonacci Numbers. Dec’16 was the 21st month from Mar’15. Thus, the larger corrective phase may have ended as a Neutral Triangle in 21 months. Accordingly, we raised the question if the Corrective phase is now over, and whether a new up-move has indeed opened from Dec’16 bottom. 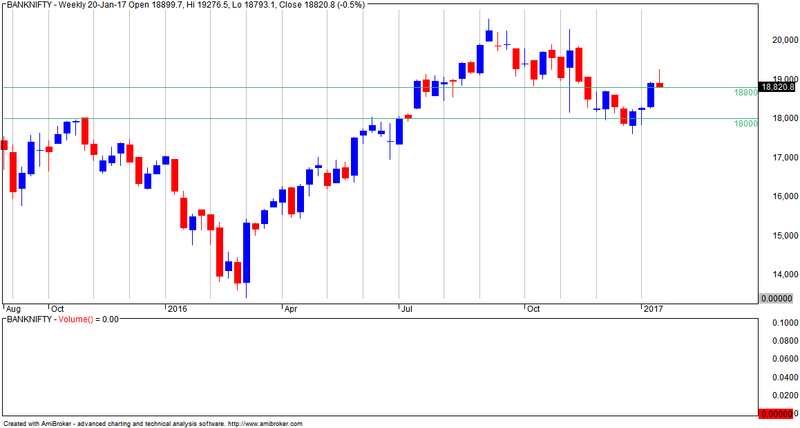 If it is a new up-move, then Index should move to new all-time highs above Mar’16 high of 30025 (Nifty 9119). However, we also mentioned the possibility that the post-Dec’16 move may be only an x-wave after completing 1st Corrective as Diamond-Shaped Diametric. If it is only an x-wave, then it should end below 61.8% retracement level to the 1st Corrective. The 61.8% retracement level calculates to about 27800 (Nifty 8560), and the same is accordingly marked on the initial Daily chart as a crucial upside for the current up-move. By NEoWave, a small x-wave should not retrace more than 61.8% of the 1st Corrective. We will, accordingly, monitor the progress of the current up-move and see if it hesitates before reaching the 61.8% mark, and proves itself as x-wave. If the up-move proves only as an x-wave, then either “E” on the Neutral Triangle is converting itself into a Complex Corrective OR larger corrective phase may have started from Sep’16, as per 8-year cycle, instead of Mar’15. India could see credit and debit cards becoming redundant as by 2020. As more people adopt the government’s Aadhaar Payment Bridge System (APBS) which will allow authentication of payments with nothing more than a user’s fingerprint. “India is in the midst of huge disruption in the world of both financial technology and social innovation. By 2020, my view is that India will make all debit cards, credit cards, ATMs and POS machines totally irrelevant,” said Amitabh Kant, CEO of NITI Aayog, in a panel discussion at the Pravasi Bharatiya Divas in Bengaluru on Saturday. Your gold may be tungsten and not gold. Any fallout of demonetisation on third quarter earnings is likely to be cushioned by the positive impact of a good monsoon, Seventh Pay Commission payouts and a robust festival season. Also, key sectors, such as pharmaceuticals, information technology, commodities and oil & gas are least affected by demonetisation, largely due to the global nature of their businesses and minimal exposure to retail consumers. Close to half of all Nifty companies belong to these sectors. One of the magical things about economics is that you can create an economic asset out of nothing but persuasion. For example, if you persuade people to be more optimistic about the economy, people invest more money, buy more products, create more jobs, and generally manifest the better economy from their own expectations. This magic of creating wealth from nothing but persuasion is one of the reasons President-elect Trump will be different from other presidents. He knows how to do this particular brand of economic magic. He has been doing it for years with his own company. The more common names for this phenomenon are branding and licensing. Companies license the Trump name for their buildings and other products because they recognize the name as a psychological asset that Trump created by persuasion. Indians have deposited nearly all the currency bills outlawed at the end of the deadline last year, according to people with knowledge of the matter, dealing a blow to Prime Minister Narendra Modi’s drive to unearth unaccounted wealth and fight corruption. Banks have received Rs14.97 trillion ($220 billion) as of 30 December, the deadline for handing in the old bank notes, the people said, asking not to be identified citing rules for speaking with the media. The government had initially estimated about Rs5 trillion of the Rs15.4 trillion rendered worthless by the sudden move on 9 November to remain undeclared as it may have escaped the tax net illegally, known locally as black money. 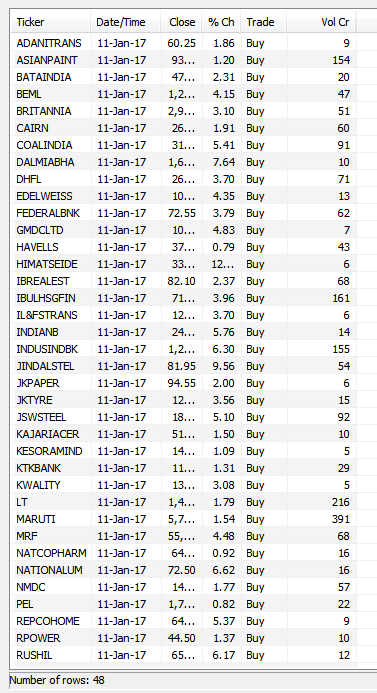 This is a record of my option trades from 2-JAN-2017. Previous trades can be found here. “I was always net long.”...An unexpected statement from a short seller. “Because I never wanted to get up in the morning hoping that things would be getting worse. All intellectuals I think — and I don’t use that as a particularly flattering term — but all intellectuals tend to have a pessimistic streak. “There’s something intellectually much more intriguing about failure, which is knowable, rather than success, which is sort of unknowable. Pessimism has long been a lure for journalists: “If it bleeds, it leads,” after all. But there’s a difference between generating clicks and generating alpha: We all know there are no short sellers in the Fortune 500. Optimism is what pays in markets and Wilson knew this. The BHIM app — which comes close to the government’s vision for UPI i.e. “one app to rule them all” — scores over e-wallets in many use-case scenarios. For starters, the BHIM app allows offers direct funds transfer across different bank accounts. Mobile wallets, on the other hand, lack interoperability and allow funds transfers only within same wallet operator. No longer would you require to load or top-up mobile wallets to pay for services. Almost all banks including private sector biggies ICICI Bank and HDFC Bank, and state-run State Bank of India have been on-boarded on to the app interface. Next, the app scores heavily over mobile wallets with regard to transaction limits. Users can transfer up to Rs 10,000 per transaction and Rs 20,000 per day with the BHIM app. Mobile wallet transfers are subjected to a limit of Rs 20,000 per month, which can go up to Rs 1 lakh per month on completion of a Know Your Client (KYC) check. In comparison, the BHIM app allows for Rs 6 lakh worth funds transfer a month. Also, BHIM app transactions are free of service charges for now (though banks may choose to levy some in future). Mobile wallet transactions, on the other hand, incur service charges. you construct a portfolio of such businesses and plan to hold on to it for a long time, allowing the magic of compound interest to do its magic and after you make these investments you are fully invested. But then after a while you get some cash and that’s what creates this paradoxical situation. Which is that you are no longer willing to buy more of what you already own (because they are too expensive now) but you don’t mind holding on to these businesses you love so much. And then you meet a trader friend who is quite successful and he politely tells you that you buy your portfolio every day. That is, holding on to a position is the functional equivalent of selling it and immediately buying it back (ignoring transaction costs and taxes). And so if you’re not a buyer anymore of a position you own, then you should be a seller. 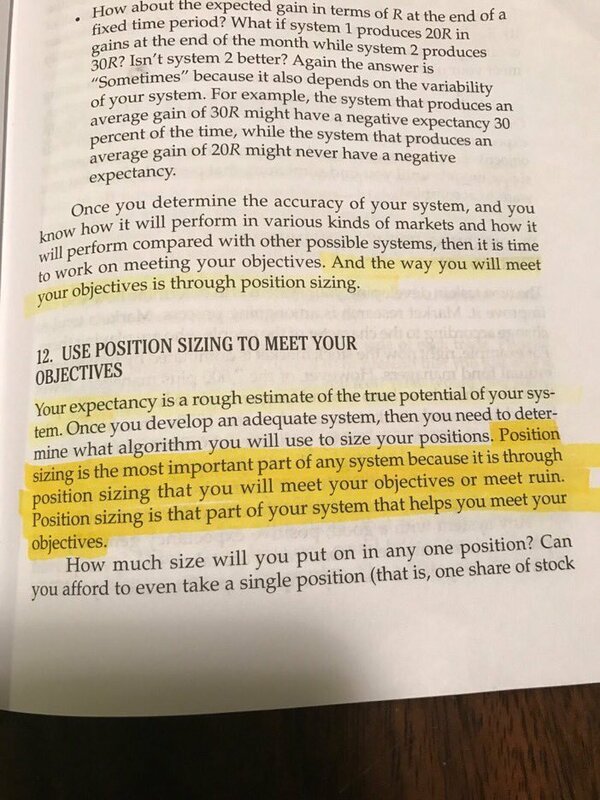 I have struggled with this paradox for many years and have written about it in the past (in my interviews with Vishal Khandelwal of Safal Niveshak) and elsewhere where I have basically said that for long-term investors in high-quality businesses, the rules for buying a stock and those for holding a stock are not the same. NEW DELHI: At a time when most analysts on Dalal Street are worried about the unfolding effects of demonetisation, the big bull of Dalal Street, Rakesh Jhunjhunwala, says, "Cash ban is history. If you have money, put it in stocks." 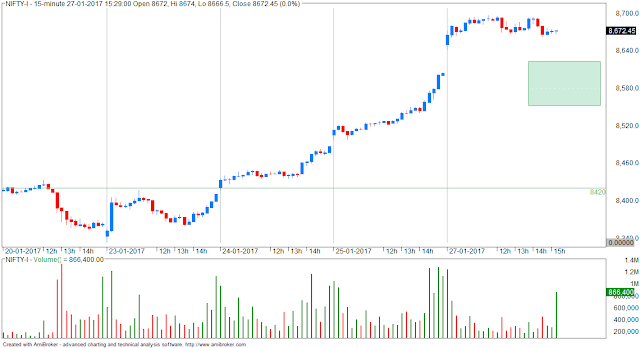 In an interview with ETNow, the ace investor said the way the Nifty50 bounced back from the lows of 7,900 to nearly 8,200 suggests that the downside remains limited. Jhunjhunwala expects things to normalise faster than expected after the demonetisation ..
Till Friday’s high, last week’s 4-day rally had retraced about 88% (Nifty 79%) of preceding 11-day. Structurally, the question for the fresh week is whether the rally would be able to retrace the fall in faster time, for which, 7 days left now. 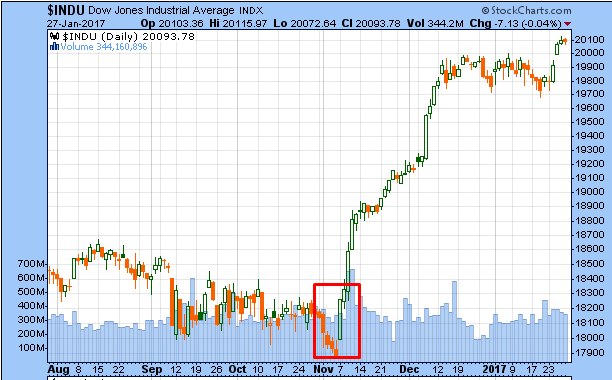 If the rally does retrace the preceding fall in faster time, i.e. moves above starting point of the fall at 26804 (Nifty 8275), then it would be the first time since Sep’16 that any such fall would be getting completely retraced. Remember, last week we said that the development from Sep’16 could be more appropriately explained as a Diamond-Shaped Diametric, which is 7-legged pattern. Its all internal 7 legs, i.e. a-b-c-d-e-f-g, are now shown on the initial Daily chart. As per this structure, the preceding 11-day fall from 26804 (Nifty 8275) to last week’s low is labeled as “g” or last leg of the Diametric. By NEoWave, faster retracement of last leg of a structure suggests that the structure, (or downward Diametric in our current case), may be over, and another structure in an opposite directions has opened. Therefore, whether the Index can move above 26804 (Nifty 8275) would be the most crucial technical event to watch as we begin trading in the fresh year ‘2017. Be the casino, not the gambler !